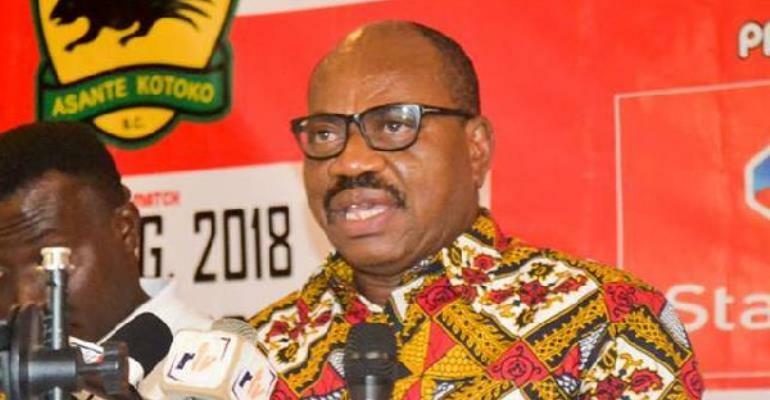 General Manager for Kumasi Asante Kotoko, George Amoako has rubbished reports in the local media suggesting that head coach Charles Kwablah Akonnor will be sacked following the club’s exit from the CAF Confederations Cup. The Ghanaian side recently crushed out of CAF’s second tier competition after failing to win their final match in the group phase which had the potential of sending them to the knockout phase. They finished 3rd in their group which eventually saw them being booted out. Following their return to Ghana, talks of the eminent sacking of Coach CK Akonnor has taken center stage with most of the media houses in the country taking up the story. Speaking to Asempa FM yesterday, March 19 2019, Mr. George Amoako stressed that the former Black Stars player performed very well with the team even though he did not get enough time to prepare his team as compared to the other opponents they face in the competition. He is opines that CK has done well with the team and speculation of his sacking should not be taken serious. “Nobody has said CK is going to be sacked. Nobody should take that speculation serious. That is why I didn’t want to talk to the media”. “Who has said it? Forget it. He has done very well”, George Amoako shared. He continued “We have set ourselves a task to bring Kotoko to the highest point in African Football. We started barely six months ago. What we have been able to achieve within this six months is good enough foundation to build on. So we are moving ahead with our target of bringing Kotoko back to its hay days. That is the way forward and nothing has changed”.